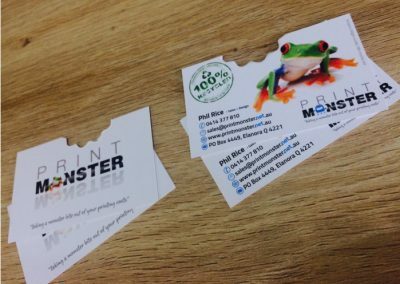 At Print Monster we have a full range of 100% Recycled paper and card to cover all your environmentally friendly printing needs.The current hipster movement has full embraced the green movement and so has Print Monster. Printing on recycled paper not only the cool thing to do, but it also looks great for niche business. 350gsm EcoStar Uncoated 100% recycled board. First of it’s kind to provided uncoated paper with the whiteness and visual appeal of non-recycled, but with a clear conscience. Usually ready for dispatch within 48-72 hours. This stock is made of FSC Certified Pulp in a chlorine free process, is carbon neutral and made of 100% post consumer waste. Now go hug a tree….